Combine dry ingredients. Cut in butter as for pastry. Spread over apples mixture from part 1. Bake 350* for 40 min. 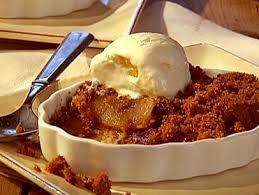 What exactly is the difference between an “Apple Betty” and an apple crisp?